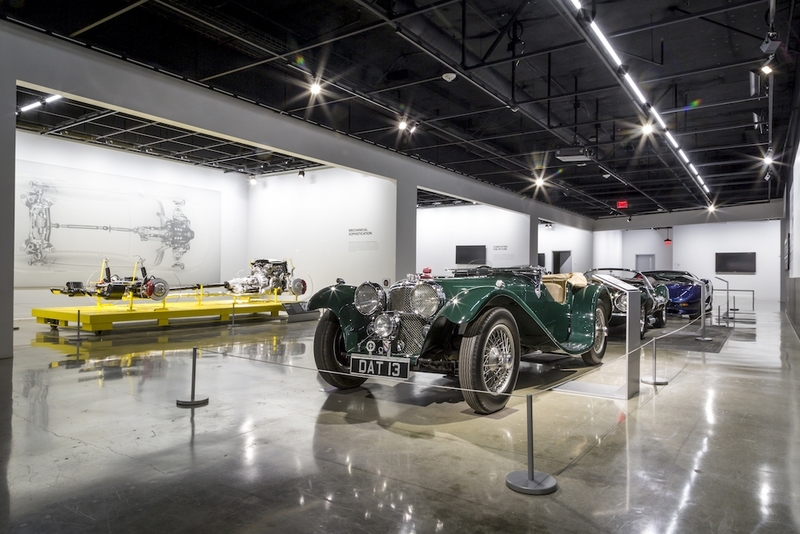 This exhibit will highlight three significant high performance models from Jaguar’s history: the 1937 SS-100 Jaguar, the ex Steve McQueen 1956 Jaguar XKSS, and the 1992 Jaguar XJ220. Both the SS-100 and XJ220 were named for their high claimed top speeds while the XKSS had a direct relationship with racing, sharing an aircraft-inspired monocoque chassis, body and engine with their Le Mans-winning Jaguar D-Type racecar. This exhibit presents a rare opportunity to see the three fastest road-going Jaguar models from their respective eras and will tell the high-performance history of one of Britain’s most beloved brands like never before. With Jaguar experiencing such a recent increase in interest, there is a unique opportunity to educate our visitors on the performance history of a company in which the public interest remains high.